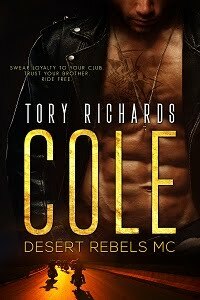 TORY RICHARDS: What Would You Do? I've said it before and I'll say it again, chunky women with dimples should not wear white polyester pants! Do you not look in the mirror before you leave the house? I know I do. It's the last thing I do before leaving in the mornings to make sure my makeup is just so, my hair is in place, that I look decent. I saw a woman at work today, a pretty girl, except she was wearing white pants when she definitely shouldn't have been. Now, I'm a chunky woman, and white pants is something I would never wear! Unless I was wearing a long blouse that covered my thighs. Now I ask you...if you had a chunky friend with cottage cheese thighs and she was wearing white see-through pants, would you tell her how bad she looked? Would I tell my chunky friend she shouldn't be caught dead in white see-through pants...I don't really know but probably not...even if I was tempted. I'd figure her own eyes are as good as mine and if it doesn't bother her, it doesn't bother her. My hang-ups aren't hers. On the other hand, I could easily see myself saying, "you know, black/navy blue/dark brown pants would really rock with that top. I laughed at Virginia's clever response but I think it might go right over the friend's head. Yeah, I've had pineapple with cottage cheese, too. Usually on lettuce. It's a good combination. With regard to the girl at work maybe the lighting was bad in her house and the mirror didn't show her flaws. I didn't say anything to her because we don't have that kind of relationship. Besides, she didn't ask me...thank god! Hi Dina! I could see me saying somethng like that. Besides, it's true. White does get dirty easily. If she was a friend I'd have to say something. It's been so many years since I've worn white I can't even remember. It would be hard to do Linda but my friends know me well enough that if they ask, they're gonna get an honest answer from me. I would expect no less from them.